Fiat Caffe opened in Bengaluru is “privately owned”! A new Fiat Caffe is opened in Bengaluru recently. This time Fiat had gone beyond conventional, and without much of the doubts this ‘Caffe’ of Italian carmaker is privately owned, unlikely to its other bays of Pune and Delhi which are owned by the Fiat itself. However, when it is being owned by the private owner, there are some benefits driven to it in various terms, where the owner serves European cuisine and alcohol inside its Begaluru landmark, the other of the Caffe outlet serves only Lavazza Coffee and sandwiches. However, Fiat is on the new rampage for Indian market, where numerous numbers of launches lined-up to our context, and the major one ‘the Jeep’ is also said to do its part very soon by the nearing festive season. 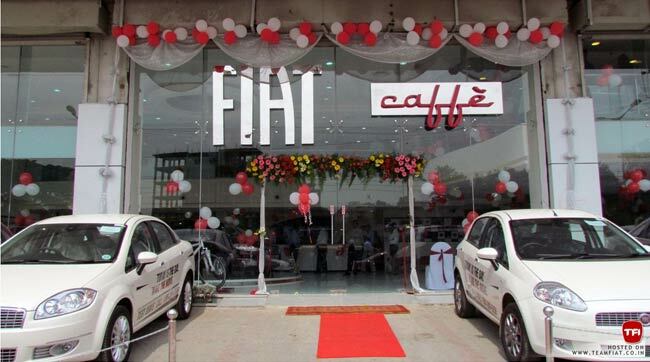 Fiat’s tie-ups with Tata Motors for showrooms/selling space and others is also going to end soon, and it is said that Jeep will be sold through the new set of dealerships in metro cities, where the opening of this Caffe dealership clues to be one of the stepping stone of Fiat towards its further course of actions.